Original Retail: $8.99. Clearance Retail: $6.29. Picture Jasper is a form of brown Jasper characterized by its unique banding and flow patterns created by petrified or silicate mud and occasional dendritic inclusions. On cut or polished stones, its variations seem to depict landscapes and other images. These “pictures” have inspired reverence for the stone in many cultures and have been believed to contain hidden messages from the past. 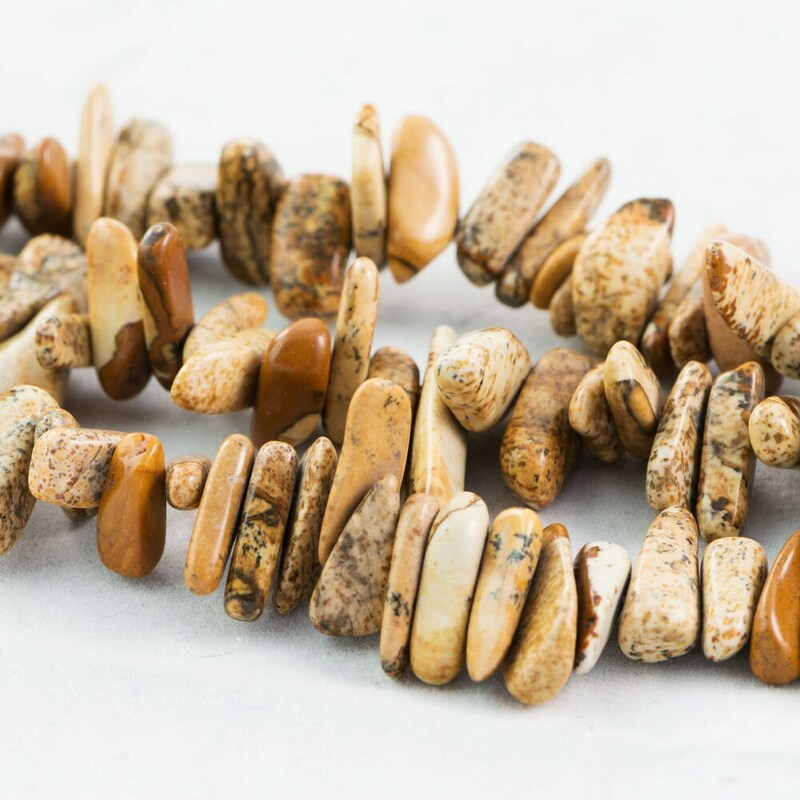 The stone appears in a range of earth tones, including browns, reddish-browns, gold, black, blue, tan and ivory. Approx. Bead per Strand: 53.